To ensure data protection and business continuity, a Cloud Disaster Recovery plan is what an administrator should consider in his backup strategy design. A Disaster Recovery plan must consider several factors before its implementation, such as budget constraints, VMs to protect, available bandwidth, latency, required RPO and RTO, and so on. A cloud solution provides the possibility to quickly restore VMs regardless of the geographical location. This is a big benefit since you can decide where to implement your DR site with a deep eye on costs. A big pros of having the Disaster Recovery running in the cloud is the non dependency on the physical infrastructure. You don't have to maintain servers, storage devices with expensive contracts, investing time to keep the infrastructure healthy. VMs run in the cloud in the same way they run on-premises, it is completely transparent from the administrator point of view. Backup as a Service (BaaS) - defined the requiements (space, retention, etc. ), the MSP is responsabile to store data backup providing agreed recovery performances in terms of RPO and RTO (RTO strongly depends on the available bandwidth). 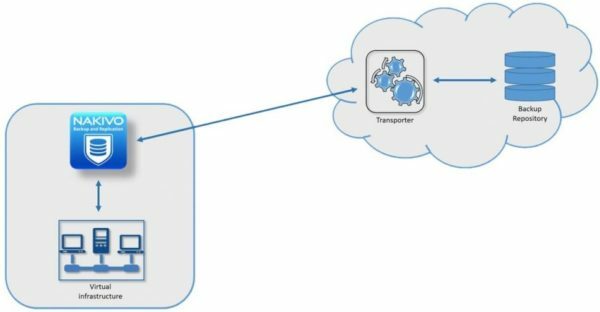 Replication as a Service (RaaS) - replication is a backup that relies on a short RPO in order to be as close as possible to present time reducing data loss, restoring the VM functionality in a matter of seconds. Disaster Recovery as a Service (DRaaS) - MSPs provide all services required to provide failover capabilities to ensure business continuity and data availability. You just pay for the services you need and you don't longer need to worry about hardware failures, software updates, and so on. If your resource requirements grow or must be reduced, the cloud-based model is scalable and allows to quickly and easily adjust the configuration needs simply informing your MSP about new parameters. Let's talk about huge disasters such as earthquake. If the building integrity is serioulsy compromised due to earthquake, a cloud-based Disaster Recovery allows you to restore your workloads in different geographical regions keeping your business alive. A cloud-based strategy is supported by Nakivo and can be used for Disaster Recovery of VMware, Hyper-V virtual machines and Amazon AWS instances. To implement a valid Disaster Recovery plan, Nakivo provides several useful features. To meet the 3-2-1 backup rule, a copy of your VM backups can be stored in the cloud to ensure VM data protection also in case of serious issues in the on-premises infrastructure. An identical copy of production VMs (replica) can be stored in the Disaster Recovery site to quickly restore the VMs functionality in case of a disaster in the production site. With Network Mapping and Re-IP capabilities, VMs in the DR site can connect the production site in case the production site has a failure. Replication is a requirement to implement the Automated VM failover feature. Nakivo provides an Automated VM failover capability in order to quickly restore the failed VM in the production site in a matter of seconds. With Network Mapping and Re-IP capabilities, VMs in the DR site can connect the production site in case of production site failure. Edition oriented for service providers, multi tenancy allows to provide BaaS, RaaS, and DRaaS services to customers. Bandwidth and latency are factors that heavily affect the Disaster Recovery efficiency. A high Internet bandwidth is required to implement a Disaster Recovery in the cloud to ensure acceptable performance and speed. Makes no sense to implement a cloud-based solution if you have a poor bandwidth with high latency. Since data are stored outside the organization, the internal policies may clash with storing data externally. Implementing a Disaster Recovery plan in the cloud offers several advantages to the organizatons: scalability, reliability, pay-per-use model that allows to keep costs under control, no dependency from the hardware or expensive maintenance contracts. 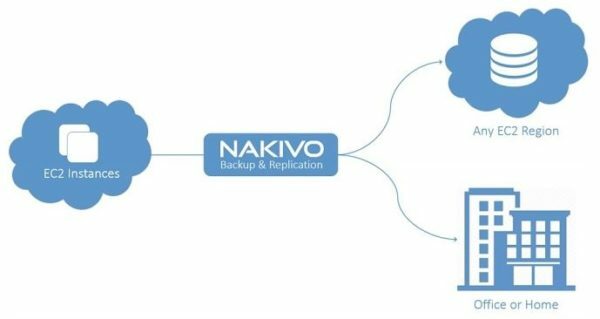 To implement and test a cloud-based Disaster Recovery, Nakivo Backup & Replication can be downloaded as 30-day trial.